Three years ago today was when Markus and I celebrated our wedding with our family and friends. It was the best day evaaaa. I would be remiss to not bombard you with ﻿share our love with a collection of photos from the big party. When Markus and I first started dating I went to visit my girlfriend in New York and we went to Coney Island. Everything there was visual and fun but in a classic, vintage way. Everything there looks like a old photograph. My day trip there was a big inspiration for the party. 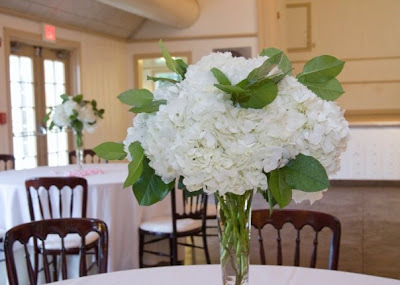 While I wanted to keep the reception laid back and with a sense of humor (like Markus and I), it was still a wedding reception so I tried to keep it classy-ish with crisp linens, mahogany chairs and classic flowers. Another Famous Brunette had her wedding on September 12. There was a time or two in party planning that I most definitely asked myself, What Would Jackie Do? 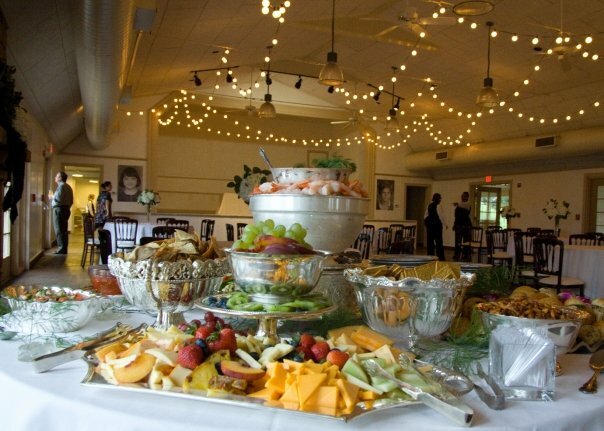 I love this photo because the food by Two Sisters Catering was awesome. They did the gorgeous setup in these silver serving bowls that looked awesome with the other details of the wedding. They also coordinated all of our rentals for chairs, tables and linens with Ducky Bob's, since Winfrey Point is basically one big space when you reserve it through the Dallas Parks Department. We bought the lights online and Markus and his friends strung them up that day before the party. The little pictures on either side of the stage are Markus and I's first grade photos. 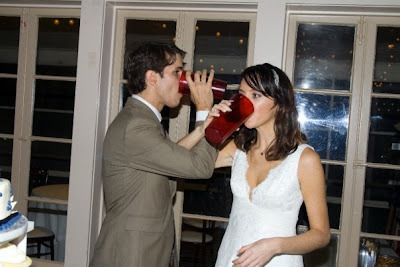 They were our photographer's idea and one of my favorite parts of the wedding! I have them mounted on foamboard and in our bedroom now. Apples to Zinnias did the flowers. 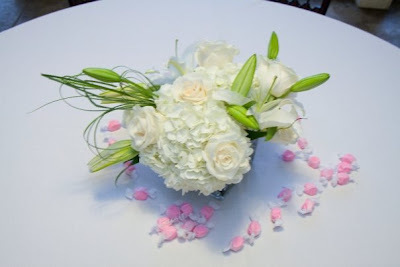 Juan Gomar is their floral designer and he is truly Juan in a million. 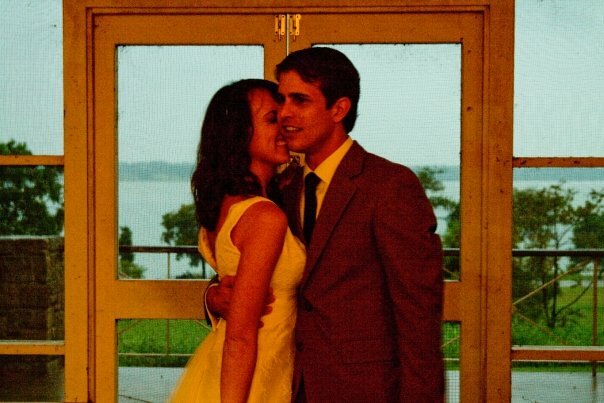 I've loved staying friends with him since the wedding. and a Cotton Candy machine (rented from Ducky Bob's) replaced the groom's cake. My mom was certain that with the booze and sugar someone was going to go into diabetic shock. Thankfully, we made it through the night. 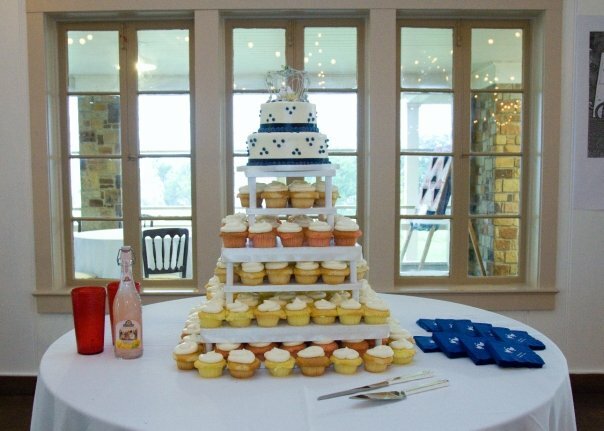 Society Bakery did our cake and it was just a big tower of perfect. The top was pink champagne, becuase I wanted to be like my mom who had a champagne cake her wedding. My mom is also an FB - Fabulous Brunette. We had lawn games to play outside, but it poured rain all day. Winfrey Point is the perfect place to plan for an outdoor wedding in Dallas. You can all stay inside when the weather blows up in your face, but the screen porch brings the best of the outdoors to you. The rain kept everyone cool and made everything smell amazing. I will always think of my perfect wedding reception when I smell wet rain. You can see more of my Augusta Jones Lois dress here. Markus and I's first date was at a dive bar our friends would all hang out at in Lubbock. Lucky for us we all "borrowed" cups from them since we knew the staff, so we had a momento from our first date at our wedding! Stealing is wrong, unless it is for love. 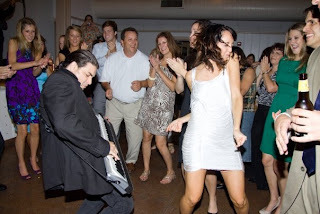 When it was time to party, two things brought people to the dance floor: Scott McCurry band and my white mini dress from Topshop. Have keytar, will party! 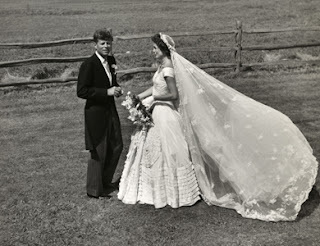 I always LOVED your wedding dresses! Both the gown and the party dress are perfection. Don't be surprised if mine look very similar one day! They are both in my closet and yours when the time comes if interested! 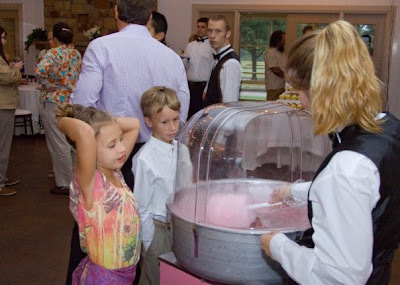 I wish I would have thought to have cotton candy at my reception! Looks like so much fun! Hey! I'm getting married at Winfrey Point this summer, and we are going to string lights up as well. Just curious, is that the only lighting you used? Was it bright enough?